Repetitious patterns enable the auditory system to form prediction models specifying the most likely characteristics of subsequent sounds. Pattern deviations elicit mismatch negativity (MMN), the amplitude of which is modulated by the size of the deviation and confidence in the model. Todd et al. (Neuropsychologia 49:3399–3405, 2011; J Neurophysiol 109:99–105, 2013) demonstrated that a multi-timescale sequence reveals a bias that profoundly distorts the impact of local sound statistics on the MMN amplitude. Two sounds alternate roles as repetitious “standard” and rare “deviant” rapidly (every 0.8 min) or slowly (every 2.4 min). The bias manifests as larger MMN to the sound first encountered as deviant in slow compared to fast changing sequences, but no difference for the sound first encountered as a standard. We propose that the bias is due to how Bayesian priors shape filters of sound relevance. By examining the time-course of change in MMN amplitude we show that the bias manifests immediately after roles change but rapidly disappears thereafter. The bias was reflected in the response to deviant sounds only (not in response to standards), consistent with precision estimates extracted from second order patterns modulating gain differentially for the two sounds. Evoked responses to deviants suggest that pattern extraction and reactivation of priors can operate over tens of minutes or longer. Both MMN and deviant responses establish that: (1) priors are defined by the most proximally encountered probability distribution when one exists but; (2) when no prior exists, one is instantiated by sequence onset characteristics; and (3) priors require context interruption to be updated. 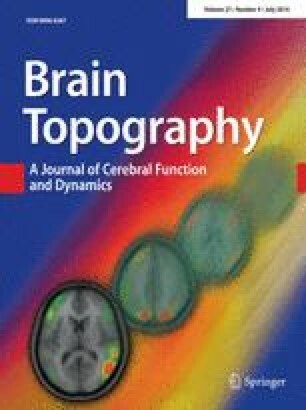 This is one of several papers published together in Brain Topography in the “Special Issue: Mismatch Negativity”. This research was supported by a Project Grant 1002995 from the National Health and Medical Research Council of Australia. István Winkler was supported by the Hungarian Academy of Sciences (“Lendület” LP2012-36/2012) and Andrew Heathcote by an Australian Research Council Professorial Fellowship. We offer special thanks to Gavin Cooper for programming support in recoding original sequences.